School is a very special time in a child’s life. It’s when they really learn how to be embarrassed. You think Uncle Rick tickling you until you wet your pants is shameful? Just wait until you express an individual sense of style! 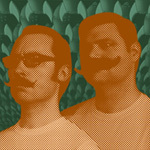 The Mustache Rangers explore teaching and testing in this podcast episode. Why don’t you share it with your neighbor? Sure, you only accidentally make eye contact with them when you’re both getting your mail at the same time. But they might like the podcast. Take that risk!